Weems developed this simple but effective plotter for aeronautical charts in 1935. It remains the most popular aviation plotter in the United States. Richard Byrd used this one on his Antarctic expeditions. 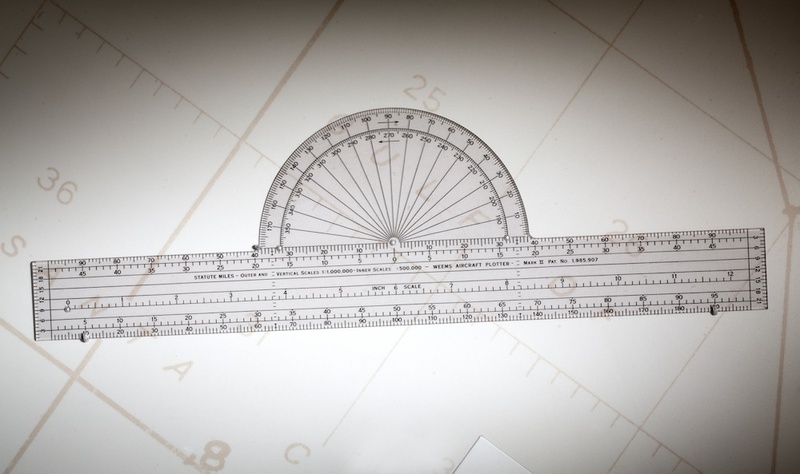 Weems developed this simple but effective plotter for aeronautical charts in 1935.